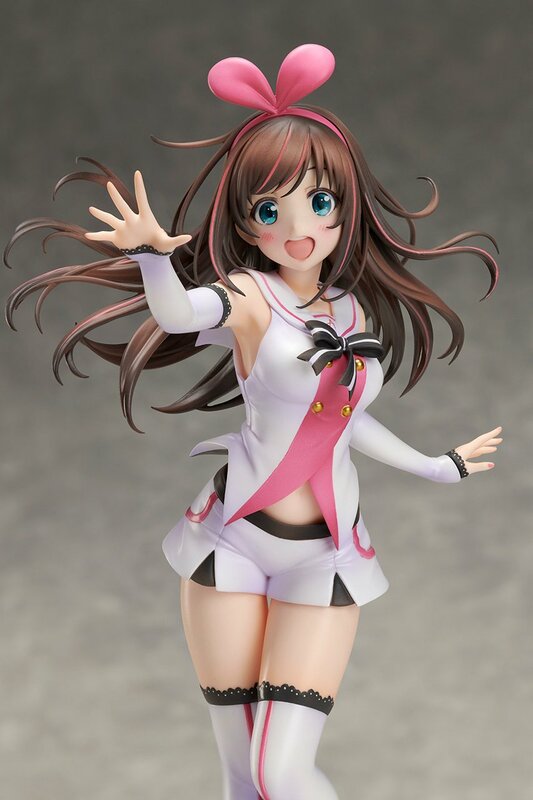 Well-known for her videos on YouTube, Kizuna AI is getting the figure treatment in a pose filled with her energetic spirit! In charge of production is Stronger Co., Ltd., a company reputed for their high quality figures. 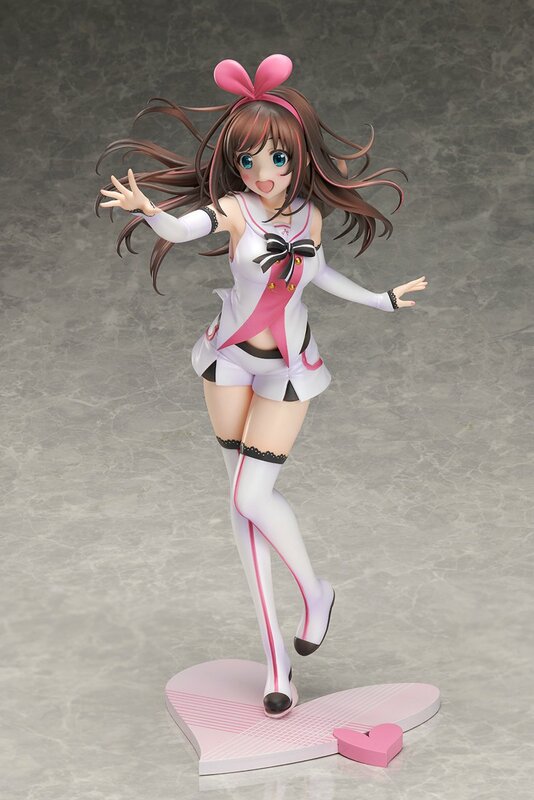 The boundlessly energetic Kizuna AI is jumping out of the screen and into your collection. 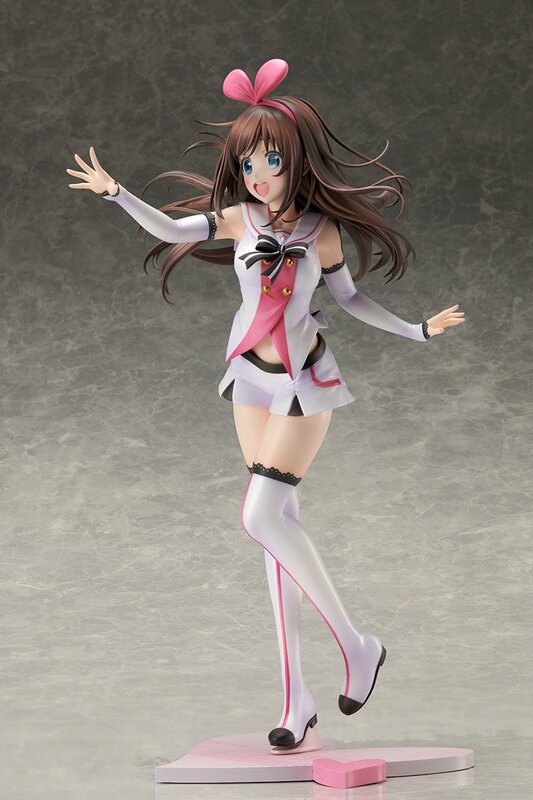 Kizuners worldwide, don’t miss out on this hotly anticipated very first scale figure! 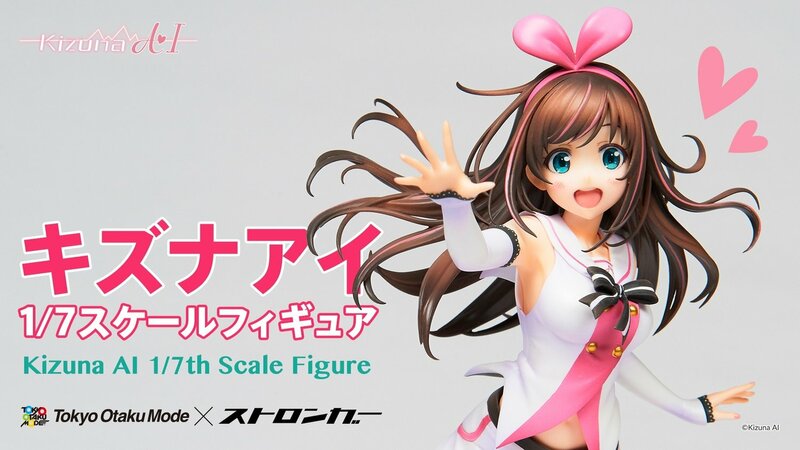 The design is currently under review by Kizuna AI herself! 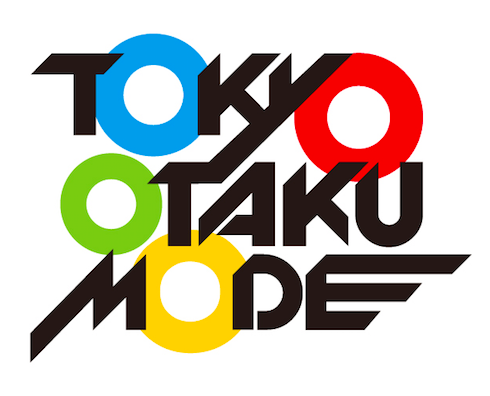 Planning: Tokyo Otaku Mode Inc.
・Production Cooperation: Stronger Co., Ltd.
・Prototype Production: ICREA Co., Ltd. The (self-professed) world’s first virtual YouTuber and intelligent super AI. Having a profound interest in humans, she uploads videos every day from a boundlessly pure virtual space, wholeheartedly wanting to “connect with everyone.” Though she was only just born, being an AI, she’s capable of quickly acquiring knowledge, and she behaves in roughly the same way as a human. Innocent and cheerful, she loves money and cute girls. There’s a theory that she’s actually the headband that sways on her head, but it hasn’t been proven. 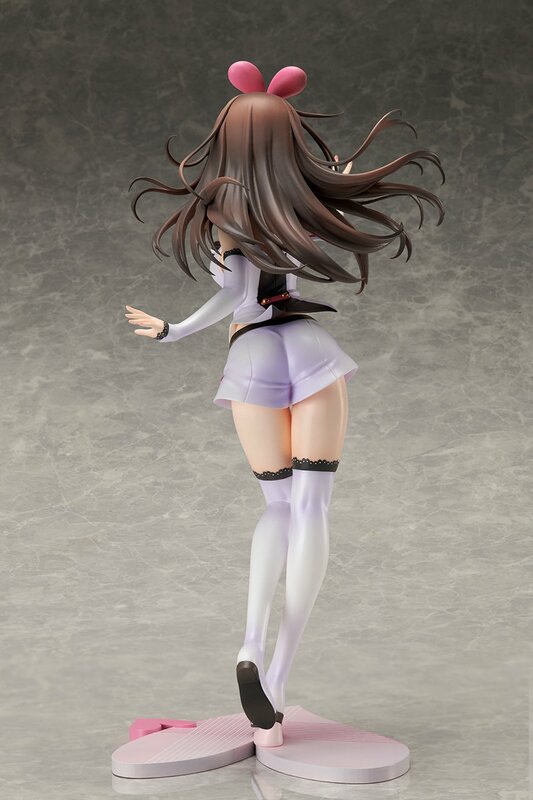 Designs, manufactures, and sells toys and figures, as well as performs commercialization and production of hobby products, with their main axis being the design and production of bishoujo figures. In addition to its own products, Stronger has developed many products jointly with famous companies including Aniplex, Kadokawa, Crypton, and TBS. Designs, sells, and manages products related to toys, figures, and models. A sales company with an emphasis on Japanese figures, Tokyo Figure was founded with the goal of introducing wonderfully skilled modelers and creators more and more not just to Japan but the world. Along with being a sales agent for modelers and creators, Tokyo Figure provides assistance with event management, advertising, and more each day. Q: My product arrived defective/damaged. A: If the figure itself has arrived with defects or damage, please contact us within 7 days within your figure arriving to you for assistance. We reserve the right to deny assistance to parties that do not purchase from TOM directly (those who purchase from individual sellers or from other shops), as well as parties that contact us after the 7 day service period. For those who reside in Japan, please contact Tokyo Figure for assistance. Q: My figure box, figure packaging has arrived damaged, can I receive a replacement? A: While we understand collectors' needs, please know that figure boxes and figure packaging (especially the outside figure box and inside plastic blister ) are materials meant to protect the actual figure; we will not replace or refund in payment for damage to the figure packaging. Q: Will this item be sold in shops other than Tokyo Figure and Tokyo Otaku Mode? A: This figure is also being offered wholesale to local distributors in select territories, and we expect that it will in the future become available from retailers with access to these distribution channels. Q: How will you ship the figure? A: The planned shipping method will be EMS. Please note that all customs fees and/or handling fees incurred from shipment and not charged by TOM are to be paid by the recipient of the item. If your country cannot accept EMS due to your postal service's limitations, Air Parcel or SAL Parcel might be used. Come see the painted prototype at the AmiAmi Akihabara Radio Kaikan Store! The painted prototype will be unveiled to the public at AnimeJapan 2018! Painted Prototype Revealed Today! + Reservations Start March 26! 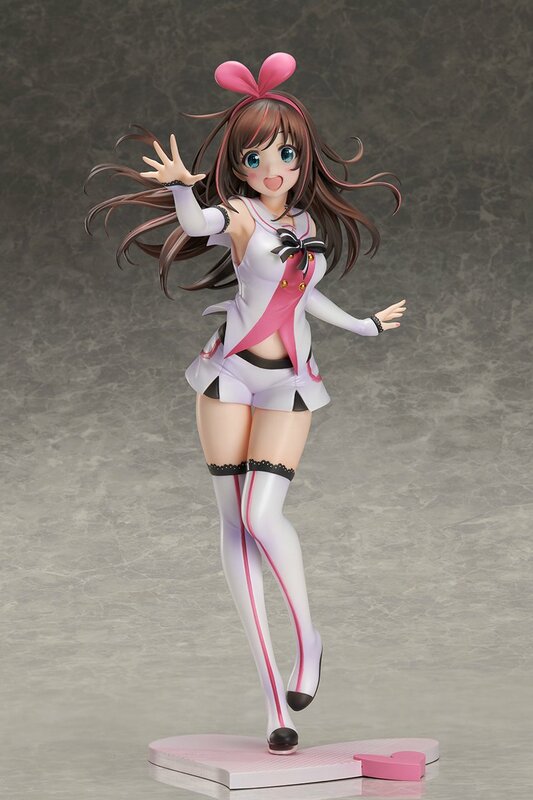 Announcing the first ever scale figure of Kizuna AI!